Well — one pauses these days. Gate A-4 was my own gate. I went there. An older woman in full traditional Palestinian embroidered dress, just like my grandma wore, was crumpled to the floor, wailing loudly. I stooped to put my arm around the woman and spoke to her haltingly. “Shu dow-a, Shu-bid-uck Habibti? Stani schway, Min fadlick, Shu-bit-se-wee?” The minute she heard any words she knew, however poorly used, she stopped crying. She thought the flight had been cancelled entirely. She needed to be in El Paso for major medical treatment the next day. I said, “You’re fine, you’ll get there, who is picking you up? Let’s call him.” We called her son, I spoke with him in English. I told him I would stay with his mother till we got on the plane and ride next to her. She talked to him. Then we called her other sons just for fun. Then we called my dad and he and she spoke for a while in Arabic and found out of course they had ten shared friends. Then I thought just for the heck of it why not call some Palestinian poets I know and let them chat with her? This all took up about two hours. She was laughing a lot by then. Telling about her life, patting my knee, answering questions. 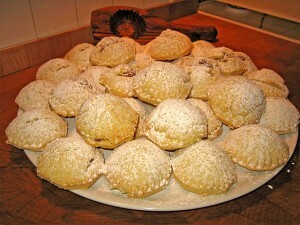 She had pulled a sack of homemade mamool cookies — little powdered sugar crumbly mounds stuffed with dates and nuts — out of her bag — and was offering them to all the women at the gate. To my amazement, not a single woman declined one. It was like a sacrament. The traveler from Argentina, the mom from California, the lovely woman from Laredo — we were all covered with the same powdered sugar. And smiling. There is no better cookie. And then the airline broke out free apple juice from huge coolers and two little girls from our flight ran around serving it and they were covered with powdered sugar too. And I noticed my new best friend — by now we were holding hands — had a potted plant poking out of her bag, some medicinal thing, with green furry leaves. Such an old country traveling tradition. Always carry a plant. Always stay rooted to somewhere. And I looked around that gate of late and weary ones and thought, this is the world I want to live in. The shared world. Not a single person in that gate — once the crying of confusion stopped — seemed apprehensive about any other person. They took the cookies. I wanted to hug all those other women too. 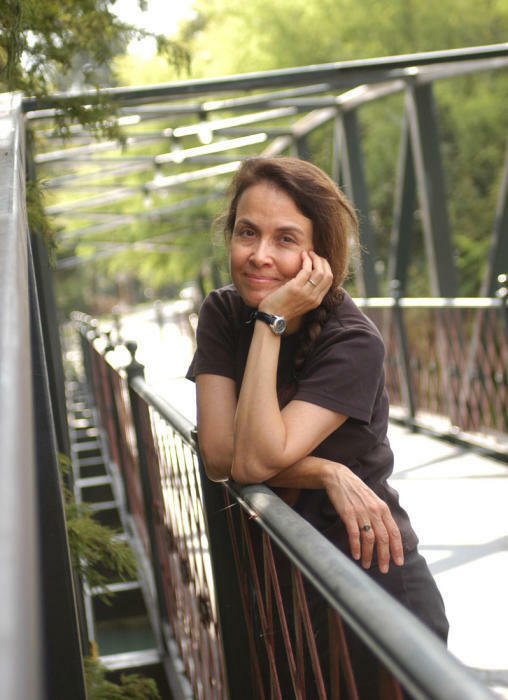 Naomi Shihab Nye is an American writer based in San Antonio, Texas. She is a Chancellor of the Academy of American Poets. This poem was originally published in HONEYBEE, Greenwillow Books, in 2008. It is republished — amid the furor over Muslim refugees — by Facts and Opinions in November, 2015, with the kind permission of Naomi Shihab Nye.